Mr Big vs Lara: the epic finale! He’s got dynamite. She’s got furry backup. This is going to end with a BANG! Remember the 5th of November? Mr Big certainly does, and he’s feeling inspired by Guy Fawkes and his Gunpowder Plot. He wants to blow up Big Ben – and all the prisons in the country! It’ll be the crime of the century. And this time, it won’t all go wrong. Or will it? Lara and her spy team have their noses to the ground. They can smell evil… and the scent is coming from London! So they follow the clues to Big Ben’s clock tower, where the explosives are hidden. There are red buses to ride and pigeons to chase. But can Lara stop Mr Big in time? 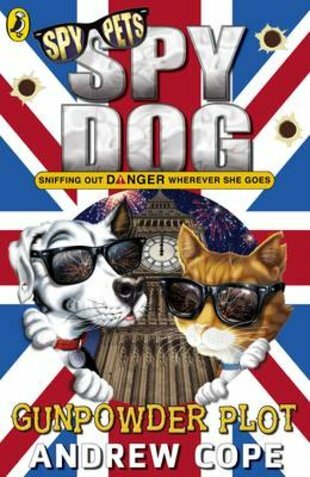 The action-packed LAST EVERSpy Dog adventure!